Want to quickly see how the open-source software Drupal works? 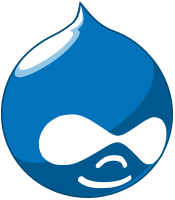 You'll find a free and updated demo installation of Drupal here. Drupal CMS is a free open source content management system developed using PHP as a programming language. The software was initially built by Dries Buytaert and released on May 18, 2000 as a message board. One year later it became an open source project and started expanding its features and building awareness. However, interest in Drupal CMS got a significant boost in 2003 when it helped build Howard Dean’s website, one of the candidates for the 2004 US presidential election. The website called DeanSpace facilitated communication between users, as well as with the campaign. New versions were released constantly and Drupal features got better with each release. Drupal 7 was released on January 5, 2011 and marked a stopping point for Drupal 5 maintenance. One year later the community of developers started working on Drupal 8, and finally on November 15, 2015 it was released. Drupal 8 is the latest major release available for download, with subsequent and minor released being developed regularly. Starting with 2014, the development of Drupal CMS moved into the hands of the community. The constant updates in terms of themes, design, plugins and modules offered by the community increased the software’s popularity, reaching more than 1.180.000 sites who use Drupal as of January 2017. But the market share was not the only one who kept on growing. As of January 2018, the Drupal community has more than 1.3 million members with over 100.000 users who are actively contributing to the project, developing new Drupal features, more than 40.000 free modules that extended current functionality and over 2.500 free Drupal themes available for download. Setting up a Drupal Demo. Using Drupal as a CMS allows you to manage your pages, content, create a blog for your Drupal website or create your own Drupal shop demo. If you want to get a complete Drupal review you can click on the links above to login to our Drupal demo. Use the site login for the backend to see how the admin demo looks like. 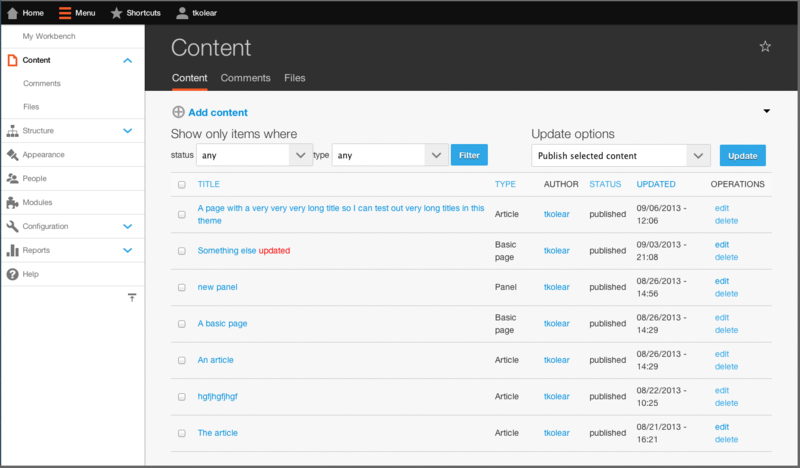 The screenshots below will also give you a preview on how the Drupal admin panel looks and how you can customize the frontend of your online demo using one of the many Drupal themes available. 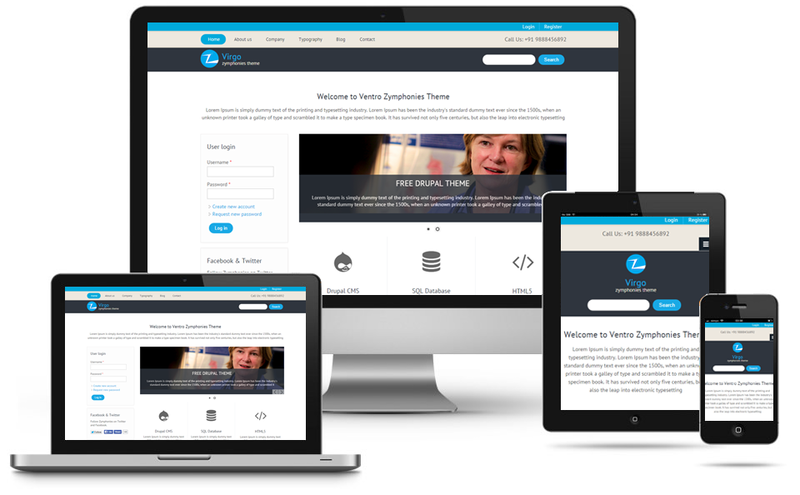 Our Drupal CMS demo allows you to try Drupal online without downloading it and going through the install process. If you want to set up your own Drupal demo site you can download the software using the link below and make sure you check the server requirements to make sure your Drupal demo will work properly. Drupal 8 works on any web server with PHP version of 5.5.9 or greater and PHP 7.2 is supported for version 8.5.0. If you run into any problems while setting up your Drupal demo you can find a tutorial online that will walk you through everything from the demo installation to changing its design by installing a demo theme. Even though Drupal offers a powerful API that helps developers create extensions and extend current functionality, basic Web-site installation and administration of the framework requires no programming skills. Given that its a popular CMS Drupal powers at least 2.3% of all websites worldwide. Drupal examples include personal websites and blogs, corporate websites or political and government sites. Some Drupal examples of schools and universities are the Harvard University Magazine, Portland State University, Duke University and University of Calgary in Canada. Drupal CMS comes with some core modules that provide a lot of features like access statistics, advanced search, caching for improved performance, multi-level menu system, user profiles and workflow tools. With the release of Drupal 7, web accessibility has been greatly improved by the community and the support of WAI-ARIA support for Rich Internet Applications has been carries further in Drupal 8. All of this led to improving the administrator page template and the user interface by adding drag and drop functionality, labels by default for input forms and fixing CSS display. Drupal 8 is the biggest update in the history of this content management system bringing built-in themes with responsive design. It’s available in 100 languages, making it a great choice for all types of websites, from simple presentation websites to complex ecosystems. Drupal maintains a detailed changelog of core feature updates by version, so you can easily check the new features and bug fixes available with each version. However, just like any other CMS Drupal has had its share of criticism, with many arguing that the Drupal 6 administrator interface was hard to use and intimidating especially to new administrators. When it comes to becoming a Drupal developer, the content management system is known to have a learning curve and it can be difficult to learn. While unit-testing was a problem in the past, Drupal 8 has taken a great stride in making it easier for developers to write unit-testable code. Nevertheless, this hasn’t stopped Drupal CMS from gaining a well deserved place amongst the most popular content management systems on the market, especially given that it’s free. The latest version available for download is 8.5.0 and was released on March 7, 2018 under the GPLv2 license. Drupal is a good web content management among global enterprises, governments, higher education institutions, and NGOs. I have worked for a few companies that were using this CMS but it’s complicated unlike WordPress.